Cedar Restoration is an important aspect of your homes maintenance. Cedar degrades rapidly over time when it is constantly exposed to the elements such as wind, rain and most of all UV rays from the sun. The next biggest cause of degradation is algae that consume your siding. We have your solution! 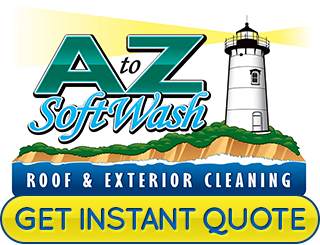 A to Z Softwash is the only local company that has this offering. After our normal non-pressure cleaning process we can apply our Wood Conditioner which will moisturize and condition your cedar, while adding a UV inhibitor with an antimicrobial element to help protect from future damaging elements. Step 1. 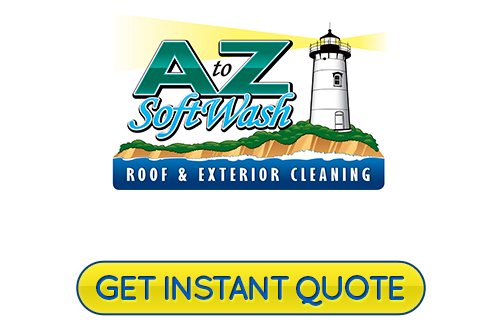 We Softwash your siding which will remove the Oxidation caused by UV rays, all algae and mildew will be killed. At this stage you have much nicer looking cedar that no longer is covered by any living algae. Step 2. We apply our wood conditioner which soaks into your cedar and is left to dry. Wood siding such as cedar is often very brittle and bone dry, the conditioner that has soaked in will help. The UV inhibitor in the conditioner will also help to protect your cedar from the sun! This conditioner meets the 3 requirements that are requested by the Cedar Shake and Shingle Bureau (CSSB) for topical applications on cedar. Protect and prolong the life of your wood surfaces with expert Cedar Conditioner in Cape Cod. There is no reason to watch this beautiful wood age and rot away when we can reverse that for you. Your cedar will look as good as new again, if not better! 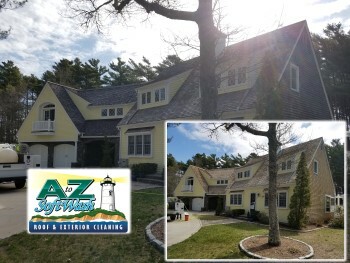 If you would like an estimate for Cedar Conditioner in Cape Cod, please call 508-209-7795 or complete our online request form.